Of all the great callings that Christians are reminded of on a daily basis, the creation of culture is not among the most mentioned. I would even hazard a guess that many Orthodox would find [the calling to create Christian culture] mildly frightening, even smacking of some ancient, unpronounceable heresy. And indeed, those arts that we associate as obviously (and safely) Orthodox, such as iconography, sacred chant, church architecture and the like, seem to exist for many in a sort of bubble safely out of the reach of those who might defile them. While the title is perhaps more appropriate for a treatise than for this brief meditation, the piece itself contemplates something that has long bothered me about nearly all forms of Christianity (sadly, including Orthodoxy) in early 21st century America, and that is that we have largely abandoned the public realms of culture. 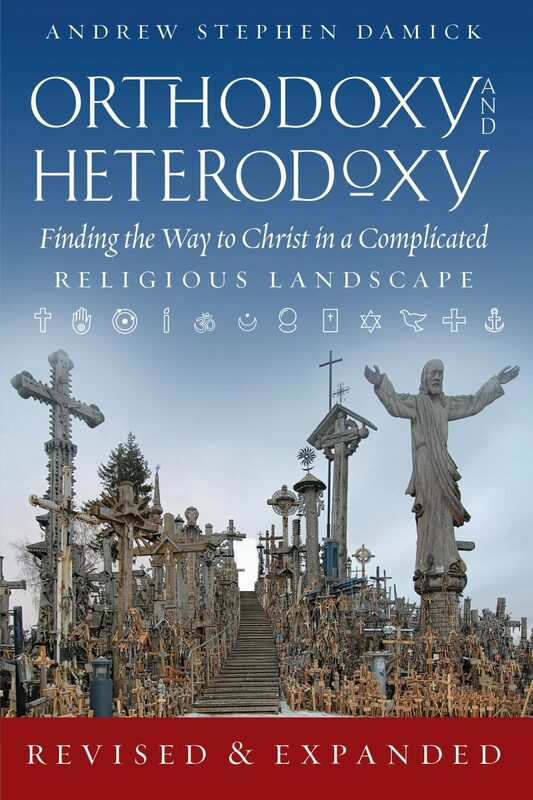 Some Christian groups in America carve out their niche markets, create Christian™ brand kitsch and pack it into Christian™ bookstores for Christian™ consumption, while we Orthodox tend to keep our cultural accomplishments under wraps by limiting them to the grounds of our churches. That said, there are hints that that might not be good enough for some of us, and I welcome that. Kotar’s piece largely bases itself on some excellent thoughts from Russian philosopher Ivan Ilyin, such as this epigram at the top: “Christianity has a great calling, which many do not ever realize. This purpose can be defined as the creation of a Christian culture.” It is no secret to students of Christian history that a Christian culture has been attempted with some energy at many points over the past two millennia, with varying levels of success. But we seem to be in an age now when it is hardly being attempted, and Ilyin’s comments on this, expanded by Kotar, call us out. Mind you, there are some notable exceptions to our general disengagement with and abandonment of the culture, and I am grateful for them. But I still must admit that, at least in my language, I have yet to find any Orthodox Christian writers or artists who thrill my soul the way people like J. R. R. Tolkien (Roman Catholic) and T. S. Eliot (Anglican) do. I think that, if we will but try it, Orthodoxy actually has a leg up on Protestantism in this regard, though there is still much possibility in Roman Catholicism. Why? Because a sacramental vision of creation permits Christian culture. Where sacrament is abandoned, the possibility is hardly permitted. After all, if God does not actually transmit holiness in and through physical matter for the sanctification of mankind, then what precisely is the point in attempting the permeation of creation with holiness that is the purpose of Christian culture? As I like to say, doctrine does indeed matter, and this is one of the ways it matters. If your view of the creation is essentially gnosticized or merely governed by the banal “stewardship” ideology, then you will see little point in treating it as a priest would his altar table and the things on it. But if all creation is secretly sacramental, well, then that’s different. In any event, take a look at Kotar’s piece. It’s a good beginning on some of these questions, and it’s a good read, as well. What about Dostoevsky? Sure, his work is not fantasy (Tolkien) or poetry (Elliot), but it is certainly culture infused with an Orthodox worldview. The same could be said for many other Russian writers, artists, composers, et al. In any event, I think I am possibly the only convert to Orthodoxy who isn’t overly excited about Dostoevsky. I certainly recognize that he is a great author and has many things to offer, but his works largely leave me cold and lost in his verbiage. I know, of course, that many people rightly feel otherwise. Putting aside the Newman defense, what about Old English and Middle English? The vast majority of OE literature is pre-Schism, and most of ME literature is not post-Schism in spirit. OE is as a foreign language one of the easiest we English-speakers will ever learn, even easier than Spanish. Once you have only a modest grasp of OE, ME cracks open with the slightest pressure, since most of what is baffling about ME is the OE detritus. Any recommendations for helping get a modest grasp of OE? Would love to crack open the ME and explore some new worlds. I’ve seen the dual translation of “The Canterbury Tales” before. Are there any others? 0. Get an Old English grammar. You can look online and check out OE grammars. I prefer Davis’ revision of Sweet’s Primer (9th ed.) for amateurs like me. You can get a PDF of this book, buy a current paperback from OUP (if you are out of your mind), buy a used hardback etc. You can get other books, too, and apply the same principles as espoused below–there are plenty of OE grammars online and in hard copy. The Internet features a number of sites relevant to OE enthusiasts. My favorite is digital edition of the Bosworth-Toller Anglo-Saxon Dictionary. 1. Carefully master the pronunciation. Your brain needs to hear to say out loud the Old English words in a consistent fashion. There are sites online featuring audio recordings. 2. Buy index cards (I use blue cards, since the white ones are now so flimsy that I can see through them), an index-card storage box (at Staples, Office Depot etc.) and index card separators with tabs (in loco citato). The index card box will not be the short, plastic ones; they are not only too small, but their lids fall off. You want the long, cardboard box. 3. On the obverse, describe the noun to be declined, the tense of the verb to be conjugated etc. On the reverse, provide the required paradigms. When you make your first batch of noun cards, only record and memorize the model nouns. Below I have indicated which nouns are model. After you have thoroughly learned these forms, you may add additional nouns which you like or think might be useful, or irregular forms etc. 4. You will need 23 tabs, to be marked as follows. In parentheses is the minimum number of cards needed for your first tour of the section. You will add more as you become able to handle irregular paradigms, exceptions etc. Twenty-three seems like a big number if you have not studied other languages. Until you actually master OE, you cannot appreciate how easy it is–easier than Spanish, e.g. 2. Strong masculine nouns (6 or more, depending on your appetite). 6. Strong adjectives (6, one card per gender). 8. Comparison of adjectives (9 or more). 9. Comparison of adverbs (5). 10. Pronouns (12, with one card per gender again). 11. Strong verbs: bindan (8 cards, 5 of which provide 1-2 forms). 12 – 18. Strong verbs: Classes I – VII (1 per class at first, then add more verbs to each class until you have all the verbs he lists). 19. Weak verbs: Class 1 (10 at first, then etc. ; note the list of irregulars like bycgan). 20. Weak verbs: Class 2 (3). 21. Weak verbs: Class 3: (12). 5. Now you go through the cards little by little. At first it will take some time to get through the whole lot, but with diligent application you will find that you can easily do most of them in a day. 6. Once you are familiar with the cards (4-5 rounds? ), you want to start reading. My suggestion is to start with The Gospel of Saint Luke in Anglo-Saxon (ed. James Wilson Bright), since it comes with a glossary, it is available as a PDF and is likely to be familiar enough that you will have some idea of what is going on. You can also buy a dictionary of Old English and read whatever West Saxon Gospel you want without worrying about the glossary. Either way, you start by making out index cards for each word in the text that you do not know: include declension information (strong masculine, weak feminine etc. ), the declension of the noun or conjugation of the verb in the relevant to the text, the definition etc. Your index card dividers will be naturally organized by chapter and verse. Before you read a text, master every card pertinent to it. Then make sure that you review the cards and reread the verse frequently, until you have nearly memorized it and can read the text without reviewing the cards first. But never stop rereading the text you have mastered. 7. Once you have finished with the Luke, you have many directions to choose from: another gospel, Aelfric’s Heptateuch, any anthology (Marsden’s is very good), new or used. Anthologies are nice, since they typically provide a brief grammar and a glossary. If you become dedicated enough, you will want to get Wright’s grammar of OE. 8. Most of the problems we associate with reading Middle English are survivals of OE morphology and vocabulary, so after you have mastered enough of OE, ME is much easier to read. I made chance purchases of anthologies, though I did order Lady Julian of Norwich’s visions because the book was relatively cheap. Dan, You’re the man. Thank you! Thank you kindly. I should mention that Scots literature and in particular Robert Burns are also easier to read after a smattering of OE, too. Scots literature strikes me as the most promising body of English which can be as thrilling as Tollers or Missouri Tom. OE offers pre-schismatic literature (Beowulf!) and ME offers post-schismatic literature that (as far as I can tell) is compatible with Orthodoxy.